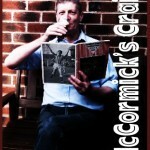 You are here: Home › McCormick's Craic › Strangely Unmoved. What World Cup? when does League 1 start? When Colin put up his competition about prediciting the World Cup finalists I had a go. I chose England because I genuinely think they have a chance and Brazil because “why not?” But when I tried to look up the groups and knock-out stages to see if this pairing was possible I didn’t get far. I just couldn’t be bothered. And that’s why I picked Brazil, I suppose. I’ve no idea who the form teams are, haven’t looked at a betting site (not that I ever do) and didn’t even know who England will be playing in their group until yesterday. So I opted for Brazil. I can remember where I was when England won the World Cup in 1966. I can remember (at least I think I can) the skills and ebullience of Brazil in 1970, and like millions of others I thrilled to their Samba as they won with such style. And then it died a bit, and a bit more, and by 1978 I was forming the opinion that winning was all and elegant play didn’t matter – or wouldn’t be allowed if it got in the way of a win. With the hindsight of age and experience I suspect that might always have been the case, but 1970 saw some beautiful games that surpassed anything in ’74 or ’78, when my memory is of chunks being kicked out of legs. Such an utterance from on high would have gone down well, with me if not with General Leopold Galtieri, who recieved a 12 year sentence that year (and a pardon three years later) though it probably wouldn’t have stopped Thierry Henry from handling the ball a quarter of a century and some six World Cups later. FIFA may now be cleaning up its act but the stench of corruption still lingers in my nostrils, which has done nothing to diminish my disillusionment. And while those investigations by the US/Swiss authorities were taking place our own country wasn’t doing a lot to help. In a few days it will be two years since the national team were humiliated by Iceland, setting in motion a chain of events that would lead to even more disillusionment with the national game and which would end with Sunderland’s relegation. And now we have the 2018 World cup, where the opening mismatch featured one country whose leaders are happy to blow aeroplanes out of the sky and another whose leaders appear happy to stone children to death. Neither are willing to allow people to be themselves, both welcome the opportunity to divert criticism that this competition provides. I didn’t bother to watch that opening game. And then came Egypt v Uruguay, one of the oldest national teams versus one of the youngest. It should have been interesting but I just couldn’t be bothered to watch it. And that, for me, sums up this World Cup. I just can’t be bothered. It might be all of the dishonesty that’s rife in the game. It might be all that’s rife in the participating nations. It might even be that we’ve been crap for too long, but I can’t get interested in what’s going on in Russia. I might pick up some of the later games, especially if either Jordan is playing, but I won’t be making any effort. At least, not for now. And the pity is, I can’t ever see things changing. If there is any copyright claim, not answered by ‘fair use’ exemptions, on the videos used to illustrate this report, please make us aware and we will add credits or remove as requested. I know just how you feel John and felt exactly the same myself until last night. I decided to give the Portugal v Spain game a go and am really glad I did. The beautiful game lives on. Feel the same. Can’t believe for a couple of World Cups I dumped the girlfriend to watch every match. Last night I couldn’t bring myself to sit through Ronaldo’s latest glorification. And Henry receives plaudits yet he his as big a cheat as all those drug taking athletes. Politics…there’s also a country playing, allegedly responsible for the deaths of over 100000 civilians in the search for the fabled weapons of mass destruction. Good article, sadly, I feel the same. Although I’ll have one eye on the spectacle, I couldn’t even sit through the whole of Ronaldo’s show. Henry was a great footballer who lowered his standards to that of a cheat. I don’t like mixing sport and politics because I could say there is also a country in the tournament allegedly responsible for 100,000 civilian deaths in pursuit of the fabled weapons of mass destruction. So I wont.